Derek Ward, son of Doctor and Mrs S. H. Ward of Bank Street Whangarei, entered Whangarei High School as a Form two pupil in 1932, strangely enough the same year that Lloyd Trigg left the School. Senior Gymnastics and also Senior Long Jump Champion in 1936. In 1938 Derek was in England, in the R.A.F., in 151 squadron. When WWII finally broke out Derek was still in England but soon found himself in France piloting a Hurricane for No 87 squadron. When he was ordered home his hurricane had no gun sight, few instruments and a serious fuel leak. He decided to land in northern France to refuel and on making his approach noticed two German planes about to dive bomb a nearby town so he attacked them, and using line of sight only, hit one and chased the other off. Making his approach again he was attacked by Messerschmitts and had to evade them before he landed which he did. He now only had one fuel tank and having refuelled that tank Derek headed to the English Channel, again running into a formation of Messerschmitts. He fired his remaining rounds and then dived to low level that allowed him to evade the remaining fighters and reach England safely. Later in 1940 Derek was of course involved in the Battle of Britain in the fighter sweeps and defensive actions, later that year flying night patrols and intruder operations over French airfields. 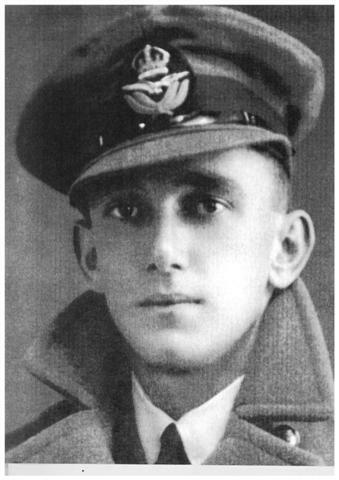 In September 1941 he was posted to No 73 squadron, the veterans of the Battle of France, only now they were in Egypt. Come October and the outfit was being led by Squadron Leader Derek Ward. That month he was awarded the Distinguished Flying Cross. No 73 in the Middle East did all sorts of missions, night and day and did it all well. Derek was known to be flying several sorties a day. Along the way Derek collected a Bar to his D.F.C. after shooting down an enemy 4 engined aircraft at night while out on a strafing sortie. Derek Harland Ward died about ten years after entering Whangarei High School as a form two boy. For his meritorious bravery and dedication to his country Derek Harland Ward is the 2nd inductee into Whangarei Boys’ High School Fideliter Fellowship.